Rex the bionic man shows how close technology is to catching up with — and exceeding — the abilities of the human body, The Guardian reports. Housed within a frame of state-of-the-art prosthetic limbs is a functional heart-lung system, complete with artificial blood pumping through a network of pulsating modified-polymer arteries. He has a bionic spleen to clean the blood, and an artificial pancreas to keep his blood sugar on the level. Behind the deep brown irises are a pair of retinal implants, giving him a vista of the crowds of curious humans who meet his gaze. 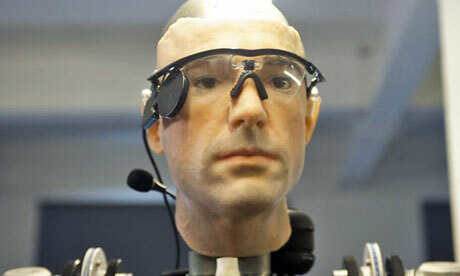 Read more:How to build a bionic man | KurzweilAI.